You are welcome to answer any or all of these questions. (Or none of them. Do whatever you want, people. I'm not your English teacher!) I've decided to limit questions for the book to five questions each month- that way it can get our brains moving without being too overwhelming or burdensome. I answer some of the questions below, not all of them, and I jump around and do whatever I please. Feel free to follow suit. + What about the main romantic relationship (Celia and Marco) did you like or not like? + What is the significance of Celia's and Marco's relationships with their father figures? (Hector and Alexander) In what ways are these relationships healthy or unhealthy? You guys I don't know what's wrong with me. I haven't loved any of the books we have read for book club in 2014. I'm sorry! 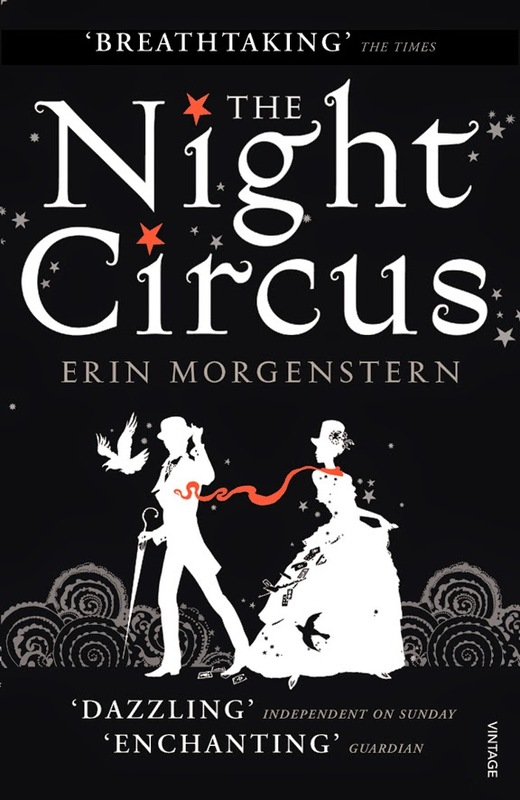 I had such high hopes for Night Circus and went in wanting so badly to like it. But I just couldn't. I know a lot of you love it, and I feel like I need to sincerely apologize to you for not liking it. I am starting to feel like this book club is one big epic fail. Let's see, I tell you all I love to read, make you all read a bunch of books with me, and then tell you why I hate every single book we read. I'm the worst! WRITING STYLE There were some things I did like about the book, so let's start with those. I think Morgenstern is a terrific writer. It definitely blew the writing in Divergent or I am Malala out of the water. The writing was lyrical and at some points even felt like poetry. It felt good to read something again that was truly well written. That being said, the pace was SO slow. While I did enjoy her writing, there were so many things she wrote about that were just totally unnecessary to me. I felt like the reading got bogged down in these tiny details that didn't matter. Sometimes I felt like Morgenstern was trying so hard to write beautifully that she was sacrificing plot. The pace was terribly off... it moved so slowly with very few events actually happening. Sometimes I tease my students that they can't read anything if it's not more than 160 characters. We live in a twitter universe where everything has to be condensed, shortened, easily digestible. So part of me feels really bad for wanting this book to move quicker- like maybe I should've just slowed down and enjoyed it and just let all that beautiful imagery seep into my bones. But I couldn't do it. There just wasn't enough of a plot behind it to keep me really interested so I ended up skimming parts with too much detail. BAILEY The other part of the plot I really liked was Bailey. Maybe he was the only part of the book I really understood? With all the other characters I felt like I was constantly supposed to be understanding all these nuances and balancing tricks of theirs, but Bailey was just a normal kid. I loved loved what Celia said at the end when she asks Bailey to take the circus: "You're not destined or chosen... You're in the right place at the right time, and you care enough to do what needs to be done. Sometimes that's enough." I guess I have grown a bit weary of books and movies where someone is "chosen" and must live up to his destiny... I like the idea that so much about greatness is just being where you need to be and caring enough to get it done. I suppose it takes away some of the "magic" of being great, but to me it makes it more real because it's obtainable for anyone. It becomes more a matter of willingness and choice, not predestination. I especially liked the bit about him caring enough to do it. It made me think about how many great opportunities I can have and will have in my life simply by caring enough to act. CELIA + MARCO I suppose I'm a hopeless romantic, and I always love a good love story. This one just didn't do it for me. The kiss in the ballroom was stunning, but that was really the only thing that really impressed me. The relationship didn't feel developed enough for me to care who won in the end. It was rushed and sloppy. TOO VAGUE I will be the first to admit that I have a hard time reading science fiction or fantasy novels. I am too much of a realist, so I take all of the fun out of those books. I can enjoy fantasy however, if it is extremely well done. For me to enjoy fantasy, there still has to be rules within the fantasy and everything has to make sense, even in a world that is impossible. For example, Harry Potter. Everything in that book makes sense. There is a system for everything. There are spells and potions, and you have to learn the spells and there's a school you go to to learn spells. It isn't just random, unexplained magic. Which is what I felt like all the magic in this book was. Why could Poppet erase Chandresh's memory at the end of the book? Never explained it. Why was Marco able to make some random bonfire that somehow controlled the whole circus? Never explained it. Why did Isobel keep the balance of the circus going- what was her role in all of it? Never explained it. This was beyond frustrating to me, to the point where I wanted to quit. I don't think an author should be able to get away with making up a world that is not clearly explained to us. Another thing that drove me crazy was how she'd use descriptors to describe people instead of their name. "The man in the grey suit" "The girl with the red hair" "The illusionist." For pages and pages she would do this, as if adding some great mystery by not saying their name. Mostly it just confused me as there were already a lot of names to remember and I was having a hard time keeping straight in my head who was who without having to remember their stupid descriptor phrase. "THE GAME" I felt the same way with "the game" as I did with the book in general- just way too vague. I didn't even know what I was reading about. There was no clearly explained moves, no clearly explained rules, etc. I get that the game was supposed to be like that, but to me that was a weak choice on the author's part. It didn't give readers something concrete enough to grasp on to. The entire time I was reading I felt like I was frantically trying to grasp onto this very hazy idea, never clearly seeing or understanding where it was going. That is a very frustrating way to read a book. Several times during the book someone asks for an explanation of the game. When Bailey asks Tsukiko she replies, "That is somewhat difficult to explain. It is a long and complicated story." I felt like this was the answer that was given for the entirety of the book! An author can only get away with that for so long before she has to explain to readers what is going on. I never really felt like Morgenstern did this. Part of me wonders if she herself knows what the game is or what it actually entails. What are the moves? Suddenly there's an ice garden? That's a move? The game doesn't end until someone dies? How is someone going to die by making ice gardens or a carousel? And what if the two contenders just refuse to play? It never explained why they were forced to do the game... Why couldn't they just stay in the circus as lovers and ignore it? Couldn't they just live out their lives (Which are longer than normal lives? They don't age? It never explained this either.) as normal and forget about the contest? OTHER UNEXPLAINED THINGS What did Isobel have to do with anything? I kept trying to figure out why she was in the story, and it never made sense to me. She had something to do with the "balance" of the circus, but what, I have no idea. What was Marco always writing down in his books? Why did Celia have control of the circus at the end of the book... everything was weighing on her? Did Celia and Marco end up as ghosts then? Trapped inside the circus? Okay, I am seriously sorry. I wish I liked this book more, and I would love to hear your reasons why you enjoyed the book, or what you found enchanting or magical about it. (It's gotten terrific reviews, so I'm clearly in the minority.) I don't know why I can't just sit down and enjoy a book lately. I need to shoo my inner critic away because I'm obviously way too harsh. Either that, or I need to start making money from being a book reviewer. I cant give you any reasons as to why I loved this book as I hated it. we should have read The Magic Toyshop by Angela Carter instead, now there's an amazing book! I've added my review and I just am hoping that I like the next book as so far this year I've been underwhelmed :(. I guess everyone has different tastes though and that's the beauty of a book club! I read this book awhile ago so I don't remember it enough to give any specifics but I remember thinking the same things: nothing happened!! And I just couldn't believe it go so many great reviews when the whole time reading it I felt like yawn city! I really don't get it! Hey girl!! How long will this link-up be open? I am ALMOST DONE with the book and will have a post up within the next two weeks. I'm not sure how I feel about this book. I agree with you the plot was so slow and boring, but I really loved the description of the circus. I had high hopes for this book too, the description of it was so much better than it actually was. And the game! Ugh! I spent the entire book trying to figure out just exactly what the game was all about...and quite frankly I still don't know. Plus, why would Hector put his own daughter up to the fight in a game that is supposed to end in death for one of the contender??? Anyway, here's to hoping next month's book is better! I understand why you thought the story was slow, because it was. I wasn't really concerned about that though because I thought this book was more about enjoying the journey than reaching the destination. And the journey was so poetic! Don't feel bad for not liking it. We like what we like and we can't help that. It would be silly for me to be offended because you don't like something that I like. This story was creative and magical. It vaguely reminded me of Harry Potter, but that might be just because I was listening to the audiobook. It was narrated by Jim Dale, who I know and love because he narrated the Harry Potter series. He is the reason why I decided to listen to this book in the first place. Anyway, back to The Night Circus. I felt like it was one of those books that had a strong female lead without being cheesy or too overt about it. I appreciated that. I also loved the supporting characters, like Bailey, Poppet, Widget, Sukiko (I listened so I don't know how to spell that). They all had interesting personalities and motivations of their own. The writing was beautifully descriptive. The author did such a great job making me love the circus, while also making it slightly creepy at the same time. I agree with basically everything you said. I started this book earlier in th year, and I think it took me 2 months to finish because I just never really wanted to keep reading. Certain parts were beautifully written, but I never really understood what was happening. What was the game? The magic was real? I have no idea. 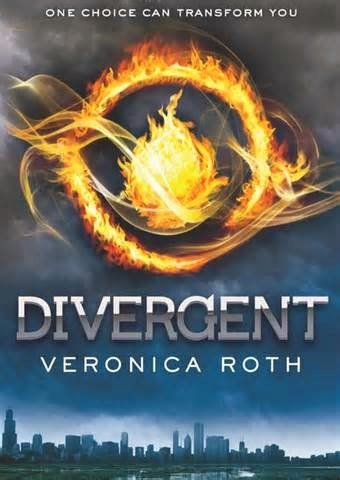 I feel like all of the chosen books have been a flop for me as well (though I did like Divergent). I feel a little guilty about it, but I didn't even finish I am Malala. I read the May and July selections last year, and I read Matilda many years ago, but I know it's a winner so I might have to reread it just so I know going in that I will love it! I'm reading my own choice right now-Pride and Prejudice (it's my first time, don't judge ;))-and it's a winner too! this is so great. i need to join in on the next book club. i also love your in depth take on the story. It's been a while since I read this book (sometime last year, maybe? ), but everyone I've talked to has thought it was SO amazing. Even heard a few "This is the best book I've read all year!" and I wanted to say, "Is it the ONLY book you've read all year?" I just didn't like it! Some parts were good, but I mostly just felt bored the ennntiiiire tiiiiime. Amen!!!!! I wanted to love the book, but for all of the reasons you outline above, I didn't even really like it. The book had serious promise but definitely failed to deliver. I hit publish too soon. To give you a little hope, I loved The Light Between Oceans, although it would have been tough to read it pregnant - too emotional. I've not read this one, but these comments aren't inspiring me to...hopefully you like the next one better! Oh my goodness, I completely agree with everything you said about this book! I finished my post, set it to publish tomorrow and then headed over to your blog to read your thoughts. Same. Thing! Though.....you are a much better writer than I! This book was slow and I was way too confused the whole time. I wanted so badly to like it because the premise sucked me right in, but alas, it was terrible. I listened to this book on my iPod last year at year while I worked. I agree Bon, I really wanted to love it. I really did, but I just didn't. Not entirely anyway. There were parts that I loved, like the dinner party and Celia and Marco. I loved the twins and the writing, that was, let's face it stunning and poetic. But the pace just about killed me and sometimes it made no sense to me. I'm interested in the other books and there are a few on my list that are on your list. I just may have to join in. But don't worry, sometimes there are going to be books we just don't love. I know, I'm like you, admitting that is really freaking hard. I'm so sad you didn't like it! You said the other day you were! I think one thing about this book is you need to love magic and fantasy and be willing for the suspension of disbelief. That's never been a problem for me. In fact, I love it! I love being able to jump into a story and just accept that people have magic and there are things I don't understand. It's actually a somewhat more recent trend where every type of magic has to have an explanation. A few months ago Neil Gaiman touched on that a bit on his blog. I'm glad I read this book, but I'll never read it again. I did like the writing, reading it I kept feeling like it was such a well written book compared to what I've been reading. However, it was so slow and the jumping around in time confused me a bit. I love bailey's character, but also felt like he was the only character I really knew about. I do feel like the author answered some of your questions, just vaguely. For instance, everyone was aging extremely slowly because of the spell Marco put on them. I don't know what it was, but involved their hair and signature in his book. Same with Celia and the circus, she was using too much of her power to keep everything running. Of course, they never explained how or what she was doing. The game "moves" really bothered me. All of a sudden things would appear out of nowhere and were never explained! thank goodness I am not alone! I did not enjoy this book at all. So glad I found this. Would love to link up next month! I am so late on this, but I agree with you. I didn't get a post up, but the whole book was really vague to me. I could never keep up with which character was which except Bailey. Bailey was definitely my favorite. Then the ending was just a let down to me. I did enjoy it, but it was slower and harder to read.